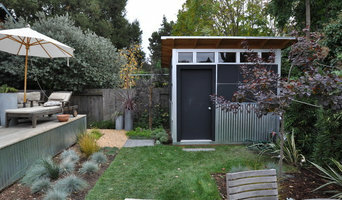 Studio Shed is the national leader in the rapidly growing market of smart, well-designed, prefabricated backyard structures. 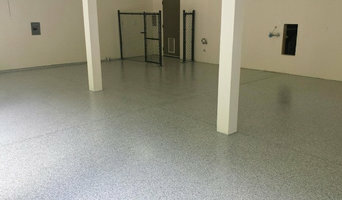 Garage floors, Walls, and Cabinets. Our offices are located in Bellevue WA and Spokane WA. We offer garage interior services across the entire state of Washington. If it is the Ultimate man-cave or the World’s Cleanest Garage you are looking for, give us a call! Since 1976 ABC Sun Control is an accomplished sales and services Architectural Window Films & Graphics contractor focused on the Commercial – Residential markets, working daily with thousands of homeowners and contractors as well as commercial, state and government agencies, serving western Washington and clients such as Microsoft, Amazon, Boeing and MultiCare. We have partnered with and are highly recommended by clients such as ASID Interior Designers, General Contractors, Facility Managers,Architects as well as many other industries, to provide UV protection, Energy Savings, Safety, Security, Graffiti Control and Decorative Graphic Film solutions. 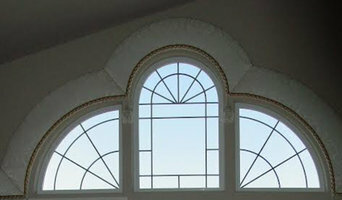 Proudly offering Window Films by 3M, Huper Optik, Vista, LLumar, Solyx and Madico. Spanning nearly (8) decades in the Greater Seattle area, the Mortenson family business has forever prided itself in top-notch service, skilled craftsmanship & unsurpassed levels of A+ customer satisfaction dating back to World War II. My grandfather, Harold A Mortenson came to the U.S. from Norway during the aftermath of the Great Depression & quickly became one of the most sought-after masonry subcontractors in Ballard before branching out on his own to the surrounding areas of Seattle, designing & building primarily brick homes & churches in Magnolia, Beacon Hill, Mercer Island & Burien. His sons continued the Mortenson brand into the early-1990's, eventually passing the torch to their sons in what became Mortstar Industries in 1992. While the business itself has changed, our approach to providing quality, affordable repairs & unrivaled customer service has not !!! Do your research & call the Mortenson Brothers first...it's better to be safe than sorry !!! We're primarily focused on remodeling & restoration (kitchen & bath specialists) our 2019 tub-to-shower promotion: Prime Baths: Our goal is to offer homeowners the most innovative, durable & aesthetically-pleasing acrylic bath products while becoming the gold standard of modern bathroom remodeling. Prime Baths, a lubxury bath brand, is capable of remodeling any bath enclosure with state-of-the-art, innovative acrylic bath products from floor to ceiling in as little as 1-2 days. These products are more durable, chemical resistant & impact resistant than any other acrylic products in the bath industry. Additionally, all Prime Baths products are low maintenance & easy to clean for a stress-free remodeling experience that will stand the test of time. As a Prime Baths customer, you will be comforted in knowing we have been successfully manufacturing acrylic bath products for over 25 years with over 100,000 bathrooms remodeled. We are a full service video production team that specializes in real estate videography. Video services include but not limited to the following: -Listing & property walk throughs -Lifestyle & branding videos -Neighborhood spotlights -Team profile / culture / corporate event videos -Customer Testimonials -Instructional & training videos -New construction spotlights / progress updates We also offer assistance with your video distribution strategy. We know how to effectively distribute your video across the most effective channels and platforms. We have a deep understanding of the web, social media, and related technologies; with video, the possibilities are endless. Oasis Construction Group Inc. serves the greater Seattle area’s residential and commercial construction needs. With an emphasis on exterior and interior remodel projects in additional to water/fire damage restoration services. Oasis Construction Group offers a decade of experience and a cumulative knowledge base spanning multiple generations. Our history of professional excellence, integrity and rigorous safety standards help to differentiate Oasis from others in the industry. As a leading commercial and residential construction company in the Pacific Northwest our team combines skill-sets of trained craftsmen, dedicated management and a cohesive environment fostering excellence. Oasis team members take pride in their work and always strive for high customer satisfaction. Our in-house tradesmen and women including but not limited to carpenters, roofers, masons, painters, metal fabricators work in tandem with our design and project management staff to make your vision tangible. From design to execution Oasis has your bases covered. Oasis abides by industry standards monitoring safety and quality; maintaining all state licenses, bonds, and insurance criteria to protect your investment. Oasis culture is focused on continuing education and evolving with industry best practices and construction innovation. We know that these standards matter for the long-term value and maintenance of your home or commercial property which is why we never cut corners or take shortcuts. Keeping our team and clients safe is more than a goal - it’s a steadfast requirement. At Shepherd Stoneworks, our philosophy is to bring out the true potential of any home in an artistic and natural way, delivering a unique, custom approach to each and every job. With extensive experience and dedication as a mason contractor, we craft beautiful, high quality stonework for Seattle area homes, including stone patios, paving, fireplaces, fire pits, and retaining walls. We work with a variety of materials, including stone, brick, and pavers, and we are equally skilled with mortared and mortarless styles of construction. Our landscape design and custom woodwork will transform any garden into a personal oasis. We also build wood gazebos, trellises, and arbors which can add a unique accent to any property. At Andren Home Inspection we understand the importance of selecting the right home inspector. You want a honest inspector with integrity who has the technical knowledge and hands on experience to be able to fully understand and thoroughly inspect your home. At the same time, you want an inspector who has the right personality and communication skills to relate the findings in a way that thoroughly informs you of the condition the home, while being sure all the information is given with the proper prospective making the inspection experience educational, pleasant and professional. With over 10 years of residential construction experience as a home builder/re-modeler and having received professional training at the American Home Inspectors Training Institute, owner and sole inspector of Andren Home Inspection, Garett Andren is superbly qualified and deeply committed to providing the community with the highest quality Inspection Services. Andren Home Inspection uses state of the art tools and inspection techniques to help obtain the best most accurate information possible. We also believe the Inspection Report is just as important as the inspection itself because the information the inspector collects is only valuable when it is clearly communicated to the client. Our top of the line reporting software, complete with full color photos and graphic installations, ensures every report is complete, thorough and easy to read. At Andren Home Inspection we place and emphasis on customer education and we take the time to clearly explain all the findings of the inspection by conducting a full review of the report with the client. As important as knowing the current condition of your property is knowing what you can to do to help prevent future problems with your home. In an effort to support your on going home maintenance and prevention routine every customer of Andren Home Inspection receives a copy of the "Home Maintenance Manual". This maintenance manual is an easy to follow guidebook to help you maintain your home as well as a thank you for choosing to work with Garett and Andren Home Inspection for all of you home inspection needs. Magical Playhouses designs and builds luxury children's playhouses, potting sheds, artist studios, she-sheds, treehouses, and writer's retreats. If they are small enough, these whimsical backyard structures can be delivered completely assembled, or they can be assembled on site. We don't have models, instead we custom build every structure to our client's tastes and put as much care into the finishing details as we would a custom home. And like any custom home builder, we are licensed, bonded, and insured general contractor. Magical Playhouses has been featured at the Bellevue ArtsFair, in the Bainbridge Review and will be featured in the July 2016 edition of Fine Homebuilding. The rest of the year, we can be found at www.magicalplayhouses.com. Welcome to Carver Originals & Carver Construction…. My name is Dennis Osborn and I would like to introduce you to Carver Originals & Carver Construction, a Puget Sound based, fully licensed and insured, general contractor. We have completed successful projects while working in concert with people like yourself since 1982. I believe that you will find our credentials impressive and our services helpful. Our goal is to use our experienced staff and professional sources to complete any construction project, from design through occupancy, on budget and on time. We are available for both residential and commercial projects, with an extensive background in tenant improvement. Fast track and difficult jobs, are our specialty. 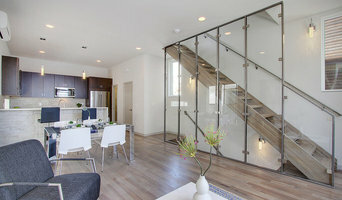 Whether you’re looking for a team of Seattle, WA professionals or a handyman for a small renovation, you’ll find dozens of professional profiles and contact information for specialty contractors here on Houzz. Here are some related professionals and vendors to complement the work of specialty contractors: General Contractors, Landscape Contractors, Architects & Building Designers, Interior Designers & Decorators, Kitchen & Bath Designers. Let’s say you want to install custom wood flooring in your dining room, and you’ve found a Seattle, WA company with excellent reviews. Next you’ll want to contact the company and make some inquiries. Find specialty contractors on Houzz. Look in the Professionals section of our website under Seattle, WA specialty contractors, then select the nearest metro area for a contractor. You can also look through Washington photos of completed projects to see how a contractor might approach design challenges.